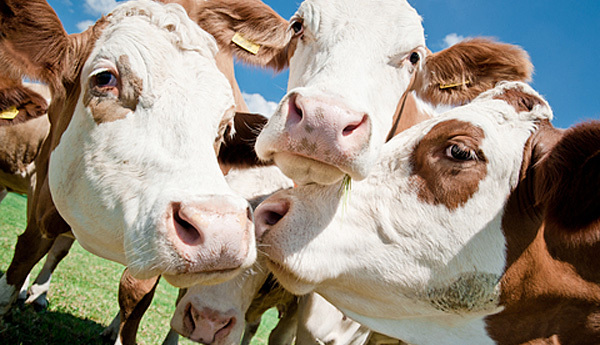 We do our best to provide you with a comprehensive resource list to bring awareness to the suffering of animals and the steps individuals can take to live a “cruelty-free” lifestyle. We are also available to assist and support retreat centers in transitioning to a “cruelty-free” tradition. DVA Pamphlet: Feel free to download and distribute the DVA pamphlet. We are providing a 6-pager for letter size and 8-pager for legal size, in both color and black and white. 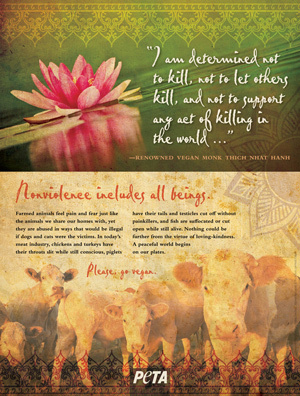 To create the pamphlet, print the front and back on one sheet of paper and fold (twice for the 6-pager and three times for the 8-pager) so that the Animals and the Buddha page is on top and the Dharma Voices for Animals page is on the bottom. If you would like the files in .psd form or if you have any questions, please contact us. Detailed discussion of the Buddha’s explicit teachings advocating vegetarianism in the Mahayana sutras.